Sightsavers is supporting the National Programme for Control of Blindness & Visual Impairment (NPCB & VI) cell in Bihar. This partnership has helped in building significant resources of the government and in developing efficient functioning of the Eye OT of District Hospitals in Bihar (Saran, Siwan, Bhojpur, Jehanabad and Arwal). 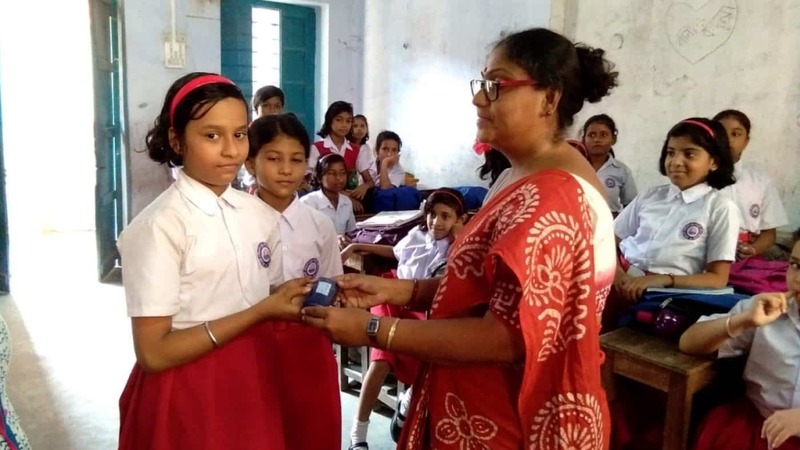 Sightsavers in association with Baxter conducted a School Based study on Hygiene, Sanitation & Health among girls in Howrah district was conducted under the School Eye Health Programme, West Bengal. International Womens Day was observed by Sightsavers in various districts of Madhya Pradesh. Eye screening camps were conducted in Bhopal, Vidisha and Raisen districts under Sightsavers’ School Eye Health Programme. The camps focused on the eye screening of students from government supported Kasturba Girls Hostels in all the three districts. 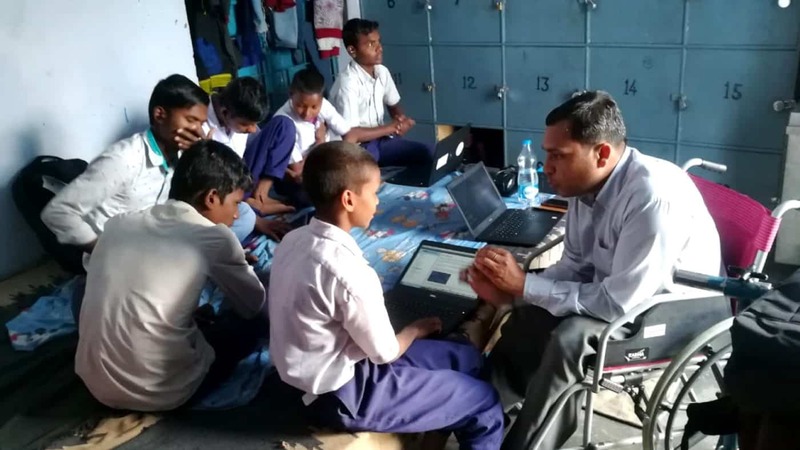 The screening camps were also organised for the ASHA workers, helpers and the SHG members (Self-Help Groups) in Raisen, Rajgarh and Katni districts of Madhya Pradesh. Around 48 women were identified with cataract and referred to the base hospital. In Uttar Pradesh, Representatives from Dubai Duty Free visited the Vision Centre and eye screening camps supported by Sightsavers in Sitapur. The team witnessed the process of primary screening, cataract identification and referrals to Sitapur Eye Hospital. On 8th February, Unique Identification Authority of India & the Planning Commission, Regional Centre of Ranchi conducted an event where the Additional Director General, UIDAI handed over 13000 Village Blindness Register to Sightsavers in order to strengthen the eye health system through effective involvement of ASHA workers. Sightsavers trained around 283 ASHA Workers from Deogarh which resulted in the improvement of eye health status of people from the district. 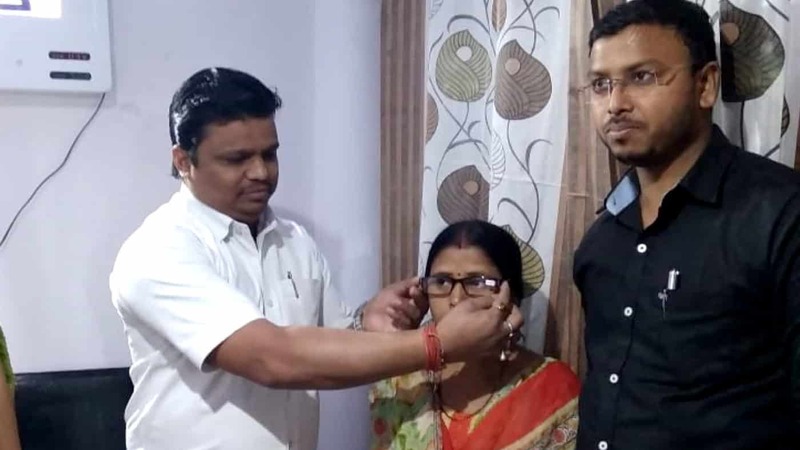 About 360 people were identified with cataract at the 8 eye-screening camps organised by Sightsavers, out of which 292 patients were referred by the trained ASHAs. 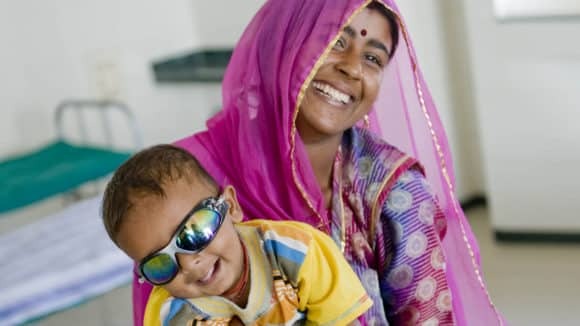 Free spectacles being provided on International Women's Day at a Vision Centre in Maroof Ganj, Bihar. 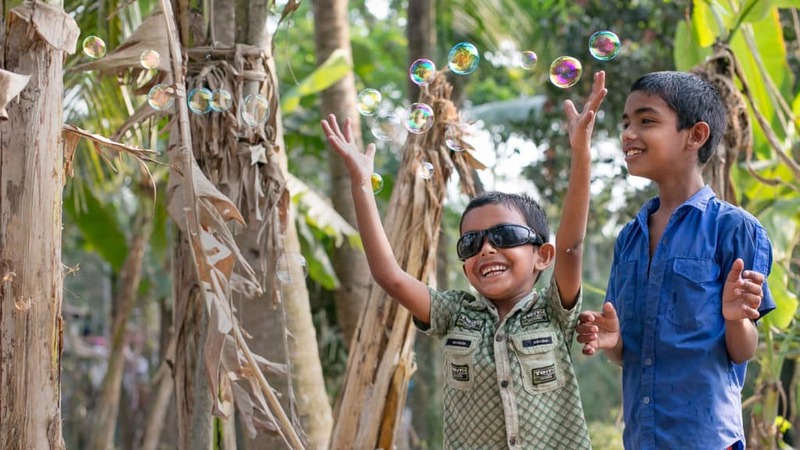 Children being provided spectacles under Sightsavers' School Eye Health Programme in West Bengal. 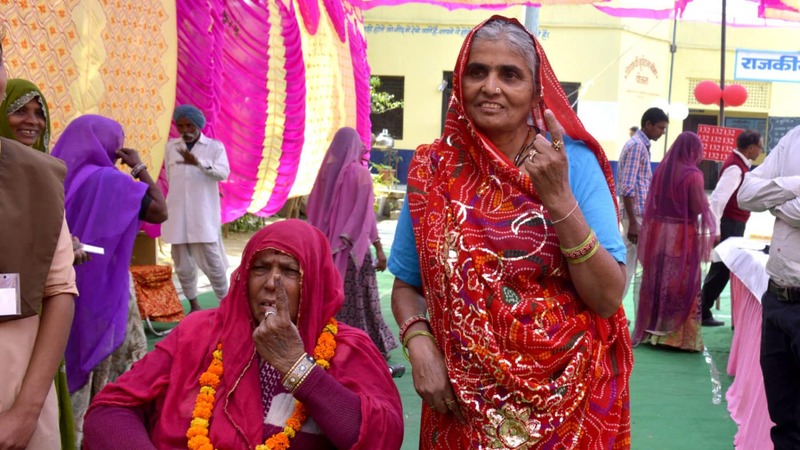 visibility of persons with disabilities in the electoral process in Uttar Pradesh, Madhya Pradesh, Rajasthan, Chhattisgarh, Jharkhand and Odisha. As an initiative for Accessible Elections in Madhya Pradesh, Sightsavers has provided support to District Election Commission, Hoshangabad by creating and printing braille material for VI voter awareness. The DPO members supported by Sightsavers collaborated with the District Social Justice Department for bringing awareness among the PwDs. In Odisha, leaders from 26 District DPOs (Disabled People’s Organisations) gathered in a workshop supported by Sightsavers and discussed their manifestos for the General Elections 2019. The initiative was to voice the concerns of Persons with Disabilities before the political parties in the upcoming elections. Seven persons with disabilities from Chhattisgarh supported by Sightsavers took part in the 7th National Blind and Deaf Judo Championship that was held in Gorakhpur, Uttar Pradesh. The event was organised by Blind and Para Association of India. In another event, 44 persons with disabilities supported by Sightsavers took part in Raipur Half-Marathon organised by the Sports and Youth Welfare Department, Chhattisgarh. Urmila who is visually impaired, secured 3rd position in the 1 KM blind category race and received a prize money of Rs 10,000. Another participant named Gayatri secured 3rd position in 2 KM tricycle race and won prize money worth Rs 15,000. 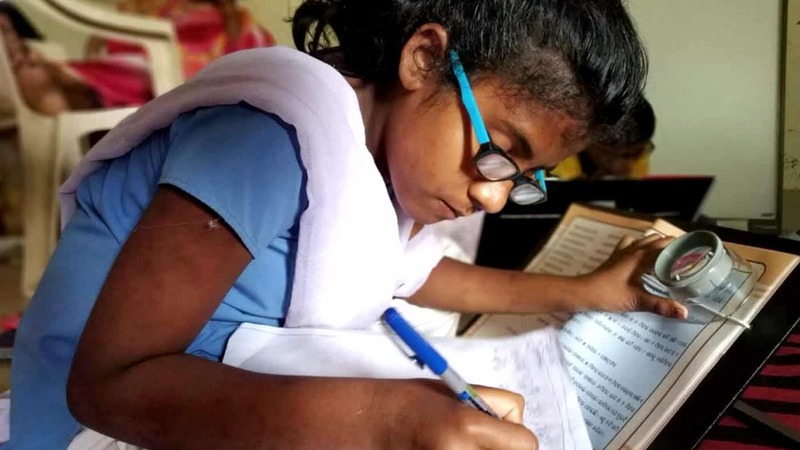 A Policy for Disability Inclusion has been developed for the State by Sightsavers and has been submitted to the Principal Secretary, West Bengal State Rural Livelihood Mission (WBSRLM) for approval. Being a Core Committee member, Sightsavers has also given critical inputs for the development of Gender Policy of the West Bengal State. In collaboration with Jharkhand State Livelihood Promotion Society, Sightsavers conducted a training programme for DPO leaders on Sustainable Development Goals, and Genders Assessment. Women with Disabilities actively participated in the training and an assessment of gender in decision making was also conducted. A gender assessment workshop for the DPOs was conducted in Rajasthan and around 23 DPO members took part in it. The key highlight of the assessment was to ensure a gender balance within the Disabled People Organisations. 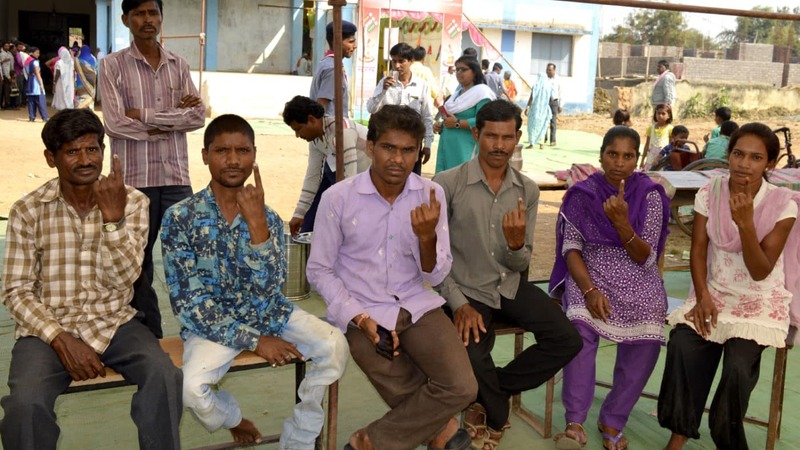 Persons with disabilities at a polling booth in Rajasthan. Persons with disabilities supported by Sightsavers in Chhattisgarh. Sensitisation Training Programme on Persons with Disabilities for towards Inclusive Elections. 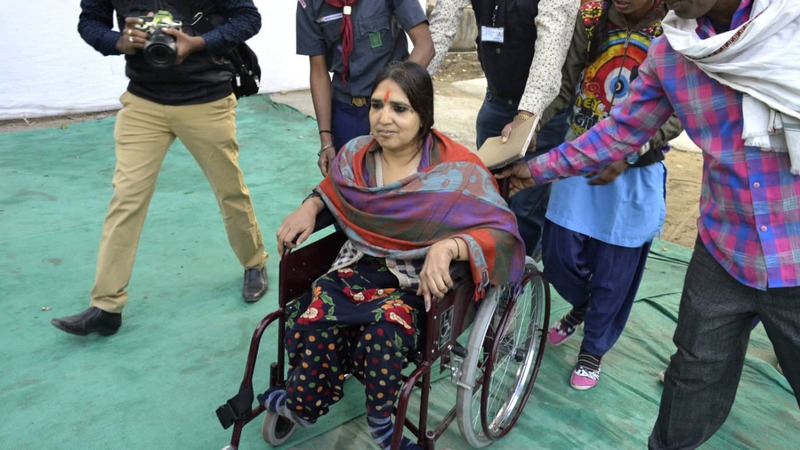 Wheelchairs being provided to a PwD at a polling booth in Chittorgarh. 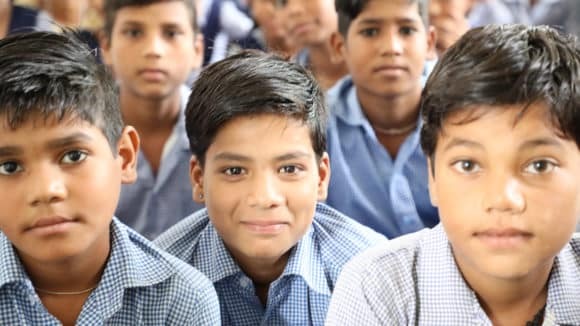 Government Partnerships: Sightsavers successfully renewed its MoU in Madhya Pradesh to provide technical support to the state government and thus strengthen the Inclusive Education system in the state. Sightsavers also signed the MoU with Government of Rajasthan in order to continue its work regarding inclusive education with special focus on Jhalawar and Udaipur in the state. 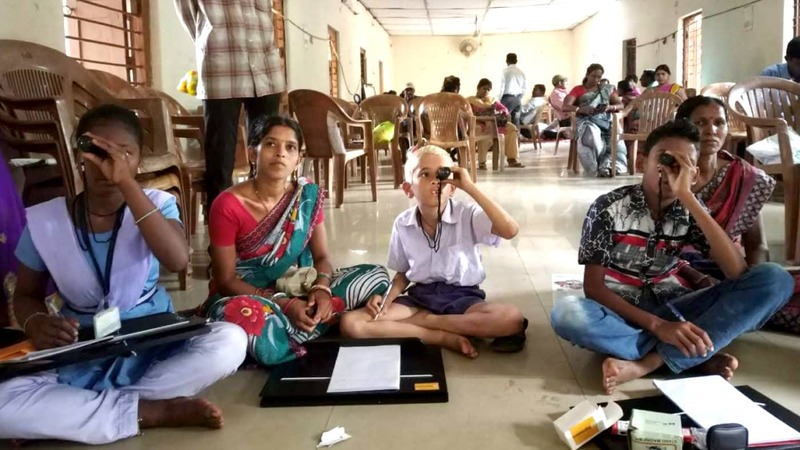 Students in Angul district of Odisha were provided with the Low Vision devices after a series of low-vision assessment camps was conducted by Sightsavers in association with Sarva Shiksha Abhiyan under the Inclusive Education Programme. Training on the usage of Low Vision Devices to children with visual impairment. A girl with visual impairment supported by Sightsavers under the Inclusive Education Programme in Odisha. Training on laptop and mobile phones for the ICT based education of children with visual impairment.